Nothing says Summer quite like this top. 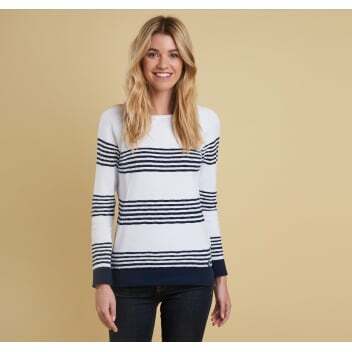 The combination of blue and white is perfectly nautical, whilst the nod to the Breton stripe is stylishly Summery. The contrast of the textured links-links bands on the front and plainer reverse is quirkily sweet. Simply throw over your favourite jeans, chinos, or shorts for instant off duty chic.